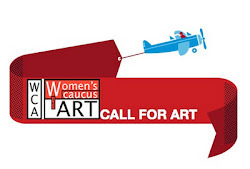 The Women’s Caucus for Art 2011 Conference LIVE SPACE is only a month away! The concept of LIVE SPACE is twofold: first, it describes art that is happening in the moment, and second, art that is energetic, stimulating and electric. LIVE SPACE will be happening not only all over NEW YORK CITY, but also in cities across the COUNTRY through blogging, YouTube, twitter, and live feeds. From live feeds for the Lifetime Achievement Awards and the LIVE SPACE gala, to performance art on YouTube, to live art happenings in front of the Hilton, this WCA Conference will be in the moment, exciting and electric. Thursday will be a jam-packed day of panels, performances, networking, and exhibitions, including the reception for JWAN’S Sanctuaries in Time exhibit and the Young WCA performance ofWhat Young Women Want. Friday will feature the WCA International Video Shorts Festival, followed by a bus tour to the Sackler Center for Feminist Art, A.I.R. Gallery, a WCA New York members’ exhibition, and the reception for Hidden Cities, the national exhibition juried by Lisa Phillips of the New Museum. Saturday begins with the Chapters’ Council Meeting, followed by a full day of TFAP panels, and culminates with the presentation of the Lifetime Achievement Awards at the Hilton and the LIVE SPACE GALA at the American Folk Art Museum. Sunday includes the bus tour to Rutgers University to visit the Brodsky Center for Innovative Editions, the Institute for Women and Art, and the Jane Voorhees Zimmerli Art Museum. Monday is the national WCA board meeting at Barnard College. Come network with WCA members, experience “live space” and be part of our thriving New York conversation on art and activism. REGISTER TODAY USING THE FORM BELOW or register and pay by clicking on the PAYPAL link. EARLY BIRD RATES EXPIRE JANUARY 12! REGISTER TODAY! WCA Conference Hotel – First Come, First Served! The Hilton New York at 1335 Avenue of the America will be the 2011 WCA Conference home base. Registration packets will be available at the WCA table located in the main lobby: Wed, Feb. 9, 5-7pm, Thurs. Feb. 10/Friday Feb11 7:30-9am/2-4pm and Sat 7:30-9am. Reduced room rates available from Feb 9-15. Room rates: $202 for a single/double and $20 for each added person over 2. It is also the CAA hotel. To reserve: visit www.hilton.com or call 1-212-586-7000. When booking online put NWC in the group/convention code box. Rate only guaranteed until Jan. 12, 2011. THERE ARE ONLY A FEW ROOMS LEFT at the CONFERENCE RATE! DAY 1: Thursday, February 10 - Confab, Panels, Receptions! Morning of networking, sharing your work, performances, videos, and panels. 10-11:50 am – The Curate's Stand: A Curator's Tea Party— A Feminist Tea Party collective will host a panel discussion. Curated by Yulia Tikhonova, a Moscow-born, New York-based curator. Panelists: K8 Hardy, a New York-based filmmaker, photographer and fashionista, founder of the queer feminist art collective LTTR, creator of the cult zine FashionFashion and, Paddy Johnson a writer who has been published in artreview.com, Art in America, FlashArt, Print Magazine, TimeOut NY, The Reeler, The Daily Beast, The Huffington Post, The Guardian, artkrush, Art & Australia, Flavorpill, NYFA Current, The New York Press, and Fanzine. Beacons of artistic concerns, these panelists will share the observations of a wide spectrum of references which women use. Defined on one side by Sarah Palin's conservative preaching, on another side - by the sexually unbounded empowerment of Lady Gaga, what are the models that contemporary artists use and how they navigate through the "rampant multiplicities of identity." The panelist will present their assessment of challenges that women-artists face to sustain critical feminist productivity in the context when the challenging aspects of queer representation in popular culture has been erased. The panel will be held within the settings of traditional tea party parlor (complete with table linens, porcelain tea service and sweets) which will be large enough to accommodate the audience and the guest curators. Like at any meal or celebration this homogeneous environment will help to create an open comfortable dialogue where the audience doesn't feel like an audience, but where everyone is equal. Sincerity and a sense of humor are required for attendance. Drawing inspiration from works created by our panelists and from the collective wisdom of the audience, we will consider how women artists and their communities create vital, meaningful aesthetic experiences that initiate and sustain authentic change in response to issues of limitation, exclusion, legitimacy, and hierarchy. If "live space" is the goal, what qualities of artistic expression and community building produce compelling, transformative art experiences/spaces? 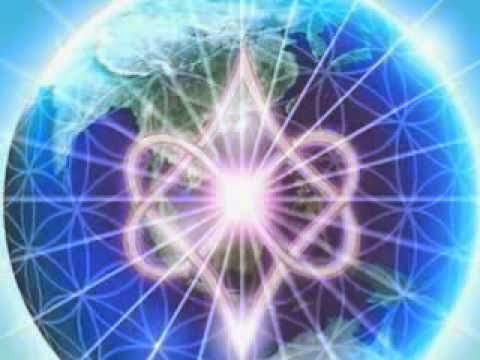 In a world filled with instant communication, where/how does essential creative intimacy happen? What conditions are necessary to enhance effective art activism? Bring your knitting needles and yarn and come prepared to knit through the panel discussions. People who come with needles in hand will get a free WCA Conference Button. 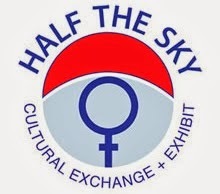 Take part in this silent "live space" performance which will honor women's work, craft, and bring attention to WCA as a whole in the world of academia and art history. "on our own volition" - Artists: Amanda Moyer, J.R. DeMers, Susie Danielson, Stephanie Trevino, Amanda Mears, Dawn Hiltz Women have traditionally gathered to discuss their desires, their passions, changes they want in the world, and their lives. Women have congregated around watering holes, in kitchens, in bathrooms, over quilts, and at tea tables, just to name a few. Six ladies from Finlandia University will be gathering together in the Raandesk Gallery to discuss their wants and desires for their lives and the world through narrative movement and sound. - "Spoken For"- Artists: Marina Kelly, Megan Katz Spoken For features women's intimate stories of want, using live performance and video projection in a multi-media exploration of women's desires as expressed via male voices. "Requesting Access" is collaborative photo shoot performance by Chanel Matsunami Govreau (played by Asian Barbie), photographer Martin Solheim and makeup/hair artist Tamara Qabazard. This performance layers the exaggeration of cultural costuming over questionably (un)real storytelling. This is combined with the friction and vanity of flash photography to explore multiracial identity and gender in interracial relationships as it combines with expectations of sexuality and its possible profit. - "45th Presidency"by Alex Dilks Pandola and Green Light Arts (Philadelphia) It is January 20th, 2013, and you're invited to the inauguration of the 45th President of The United States of America, America's first woman President, Sarah Louise Palin. If you don't think it can happen, please see the 44th President. Is this the last thing women want? What women? Join Green Light Arts as we listen to President Palin's Inaugural Speech and see how she intends to turn the Mama Grizzlies loose on Washington. Keep your car doors locked! Free wild flower (photo) for you’re of love story. I have gathered images of wild, uncultivated plants. I would like to trade a photograph for a hand written love story. Simply show up write down your story and then you can pick any picture. You can keep it anonymous or you can include names, dates, times, locations. The stories will be gathered and compiled to form an archive, a historical record, and a book. You will receive the link to the print on demand book if you would like a copy. Barnard College, Louis McCagg Gallery, 3009 Broadway, NYC, 4th floor Diana Center. 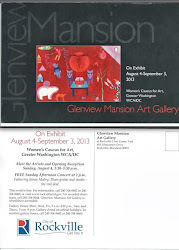 Featuring work by several WCA members. Hosted by TFAP and the Insitute for Women and Art, Rutgers. *This panel is open to registered CAA conference members only. Awards will be presented to the following women for outstanding contributions to the visual arts: Beverly Buchanan, Diane Burko, Ofelia Garcia, Joan Marter, Carolee Schneemann and Sylvia Sleigh. Maria Torres will receive the President’s Award for Art and Activism. 2010 WCA LIVE SPACE CONFERENCE OFFICIALLY CLOSES! JOIN WCA and CAA for this very special day!! Tour the Brodsky Center for Innovative Editions, the Institute for Women and Art, and the Jane Voorhees Zimmerli Art Museum in collaboration with the Women’s Caucus for Art National office at Rutgers. On view at the Zimmerli Art Museum is the major exhibition Dancing with the Dark: Joan Snyder Prints 1963–2010, the first prints retrospective by this acclaimed expressionist painter and a MacArthur ‘genius’ award recipient (2007). Also visit the Zimmerli’s world-renowned collections of Russian and Soviet Non-Conformist Art, nineteenth-century French Art, American Art, prints, and photography. Price: $55 includes transportation and box lunch. Note: All WCA members are welcome to attend this session. Please email Karin@nationalwca.org in advance so we may plan accordingly. Typically, there is a small shared fee to cover the costs of coffee, snacks and lunch. Take part in all the WCA sponsored and co-sponsored activities to meet new people, network, get information, hang out, and have fun. Take a look at the best conference deal, the WCA Live Space Members-Only Early Bird Package – only $145, if purchased by Jan 12, 2011. You can also sign up and pay online at nationalwca.org beginning Dec 1. Mail to: Women’s Caucus for Art, PO Box 1498, Canal Street Station, New York, NY 10013 or click on this PAYPAL link. Tour includes Sackler Center for Feminist Art, A.I.R. Gallery, NYC members’ exhibition at St. Francis College, and WCA exhibition reception for Hidden Cities, New Century Gallery. Box dinner included. Gala includes open bar, gourmet walk-around dinner, networking and museum tours with reserved seating for the Lifetime Achievement Awards ceremony that takes place from 6-7:30pm in the Beekman room at the Hilton Hotel. ($85 after Jan12) $75/$85 is a special rate for WCA members. Only one ticket per member at this reduced rate. Additional tickets may be purchased at the general ticket rate of $135. Sunday Bus Tour tickets are offered through College Art Association (CAA) only, and are not included in the Members’ Live Space Package. Registration for this tour ends January 20.